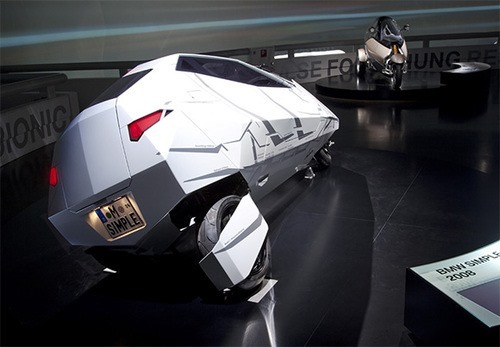 Sorry Nissan Land Glider, the BMW Simple makes you look like a Granny car. 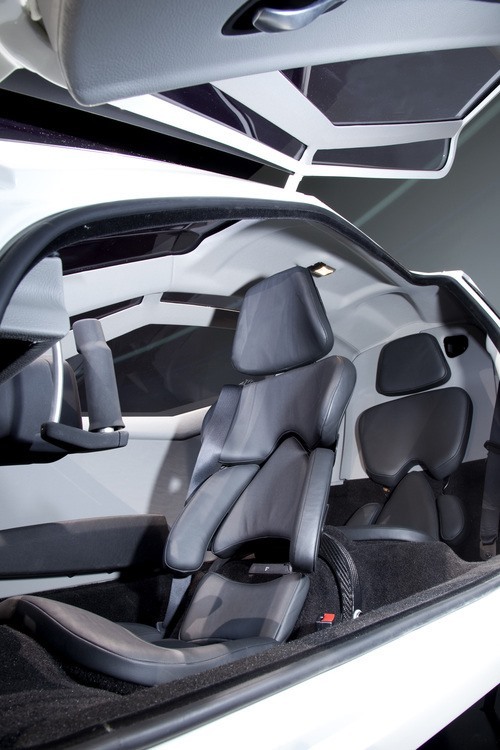 This prototype truly feels like a car and motorcycle combined (plus it bears an amazing resemblance to the Tron light cycle). 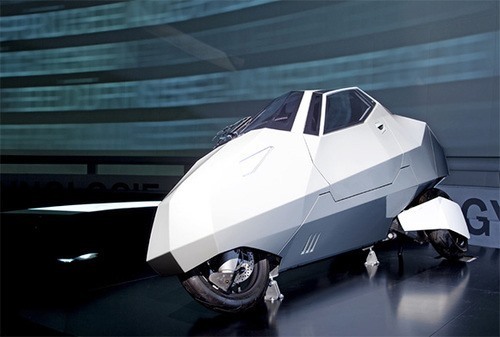 "Simple is the acronym for sustainable and innovative mobility product for low energy consumption, a vehicle concept combining features and advantages of both motorcars and motorcycles. 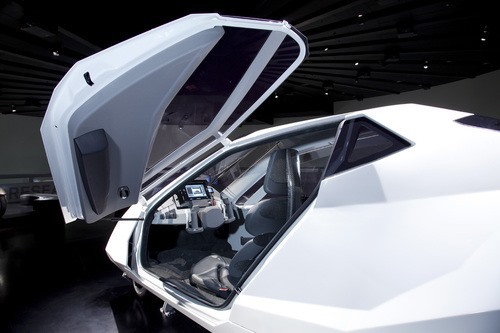 The concept owes its protective passenger compartment to motorcars whereas the streamline shape, the two occupants seated one behind the other and the uniquely driving experience are naturally owed to motorcycles."